position in terms of numbers. Conventional d.c. machines are deliberately introduced early on, despite their declining importance: this is partly because understanding is relatively easy, but primarily because the fundamental principles that emerge carry forward to other motors. Similarly, d.c. drives are tackled first because experience shows that readers who manage to grasp the principles of the d.c. drive will find this knowhow invaluable in dealing with other more challenging types. level. When we put the drill to work it draws more power, and, when we finish, the power drawn from the mains reduces automatically, without intervention on our part. The humble motor, consisting of nothing more than an arrangement of copper coils and steel laminations, is clearly rather a clever energy converter, which warrants serious consideration. By gaining a basic understanding of how the motor works, we will be able to appreciate its potential and its limitations, and (in later chapters) see how its already remarkable performance is dramatically enhanced by the addition of external electronic controls. This chapter deals with the basic mechanisms of motor operation, so readers who are already familiar with such matters as magnetic flux, magnetic and electric circuits, torque, and motional e.m.f. can probably afford to skim over much of it. In the course of the discussion, however, several very important general principles and guidelines emerge. These apply to all types of motor and are summarized in section 9. 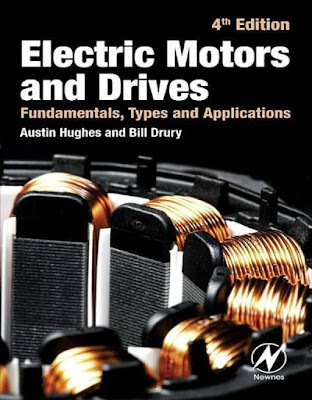 Experience shows that anyone who has a good grasp of these basic principles will be well equipped to weigh the pros and cons of the different types of motor, so all readers are urged to absorb them before tackling other parts of the book.